Providing innovative solutions to specific customer needs will undoubtedly be the lynchpin of Salicru’s future strategy. Championing the field of renewable energies with research into and work on systems that enable energy generation that is respectful to the environment. Expanding the services (remote maintenance, 24x7, audits and maintenance) that Salicru offers to enable customers to focus all of their attention on managing their businesses and let us take care of their electrical protection needs. Consolidating the specialisation of the Salicru team – the company’s greatest differentiating factor for its extensive knowledge of the market, its challenges and the solutions necessary for each case. With the aim of always offering products that best suit customer requirements, Salicru never ceases to research and innovate. To achieve this, the company sets aside an annual average of 5% of its turnover for research into new solutions, well above the 0.9% average for Spanish technological companies and the 1.4% European average. Our rigorous but also flexible and streamlined production process, along with the use of the most advanced systems, makes Salicru a perfect partner in the search for tailor-made solutions. Energy saving on LED lighting. Design and development of a high value-added UPS and an advanced parallel system. The objective of this project is to design and develop a next-generation uninterruptible power supply (UPS) that will represent a technological leap forward with respect to current products on the market, through the development of technological solutions with high flexibility and adaptability to variations and/or modifications according to specific market needs. - Revolutionary UPS parallel technology. 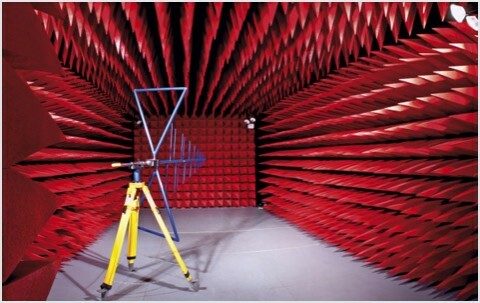 - Development of proprietary architecture applied to the product to provide improvement in final quality, rapid adjustment, calibration, parameter setting, etc. - Ability to describe the specific parameters of an already manufactured device with the possibility of providing it with traceability, cloning it, updating it, modifying it and comparing it. 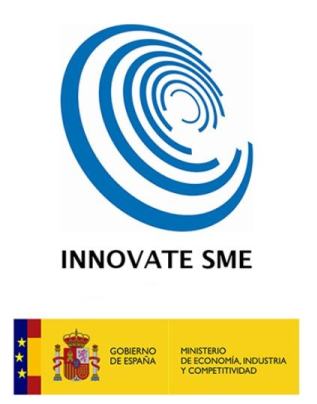 The “Innovative SME” seal is awarded by the Ministry of the Economy and Competitiveness to companies that over time have consistently introduced policies for the implementation of new technologies, both in the areas of company management (warehouse management, logistics, administration, etc.) and communication and electronic commerce. The attainment of such a seal constitutes recognition of a company’s innovative spirit and a certificate of guarantee of its business activities, providing customers with a greater degree of confidence and security. It is an acknowledgement of the effort made by the company and the value it contributes to the development of the economy and society. The Leading Brands of Spain Forum (FMRE) is a public-private strategic partnership created to espouse the importance of brands and internationalisation for companies and the Spanish economy. It consists of 100 major Spanish companies with leading brands in their respective sectors, together with the Ministry of Foreign Affairs and Cooperation, the Ministry of the Economy and Competitiveness, the Ministry of Industry, Energy and Tourism, ICEX Spain Exports and Investments and the Spanish Patents and Trademarks Office (OEPM). Its aim is to champion the strategic importance of Spanish brands and support their internationalisation at all levels, thereby promoting the image of Spanish products and services through these brands with the support of government. The FMRE fosters a brand and internationalisation culture in order to support and be supported by companies that have an international and brand vocation.